Take I-84 West to Exit 13N. Merge onto Route US-9 North toward Poughkeepsie. Make left turn at the second traffic light onto Westage Drive (there will be a Mobil Gas Station on your right), at the T Intersection, make a right turn continuing on Westage Drive and then make your first left into the parking lot to 200 Westage Business Center Drive. There are four entrances to the building, all of which lead to a security desk in the center of the building. Keane & Beane’s office is located within the office suite behind and to the left of the security desk. Take I-84 West to the Snook Road Exit. Bear left at the end of the exit ramp and make left turn onto Route US-9 North toward Poughkeepsie. Pass under I-84 overpass and make left turn at the third traffic light onto Westage Drive (there will be a Mobil Gas Station on your right), at the T Intersection, make a right turn continuing on Westage Drive and then make your first left into the parking lot to 200 Westage Business Center Drive. There are four entrances to the building, all of which lead to a security desk in the center of the building. 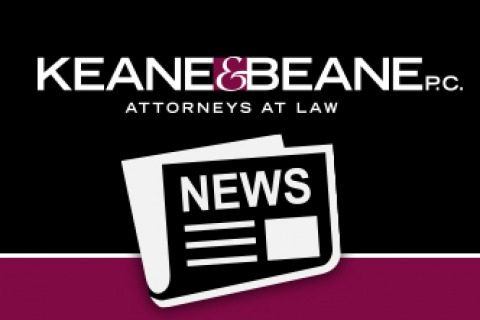 Keane & Beane’s office is located within the office suite behind and to the left of the security desk.